The IFPA National Championships is a tournament featuring the winners of the IFPA State Championships series. 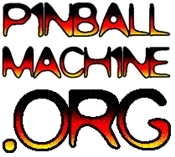 This year it was held at Lyon’s Classic Pinball in Lyons, Colorado. Keith Elwin and Bowen Kerins battle it out in the a best-of-7 series.